While boarding a recent early morning flight returning from a Caribbean island, I had a deja vu moment of sorts. I qualify it because I wasn’t reliving my own experience. Yahoo Travel editor Leah Ginsberg had just shared seven great examples of knowledge gleaned when she sat in the exit row with off-duty pilots. As hubby and I settled into a rare splurge on extra-legroom exit-row seats, sure enough, a pair of uniformed pilots slipped into the row across the aisle from us. It was like sitting with the cool kids! They wanted to know everything we knew about the island. They asked where we eat, where we stay, what our favorite dive sites are, and even what it costs for a week (excluding the cost of airfare, of course). One talked about bringing his wife; the other was scouting honeymoon destinations for his daughter. It’s hard to believe that two pilots nearing the end of long careers flying the globe could have travel destinations yet to conquer, but both of these guys did. One wants to visit Ireland and has a trip planned there soon. The other confessed that when he travels for fun, it’s usually by car, but that he would love to spend time in Asia. It’s like there’s some secret point system. We had an incident on our approach to landing during which both nonflying pilots sized up the guy actually flying the plane. Just as the tarmac appeared beneath our plane, the engines roared and we suddenly climbed hard and began banking. While everyone else craned to look out the windows for an explanation, I looked at the pilots. Following our missed landing, the pilot flying our plane confirmed over the PA what our aisle buddies had already told us. There had been a taxiing plane not quite clear of our intended landing strip. But not every pilot feels the need to be forthcoming, particularly when they are at fault. The aisle pilot told a story of a missed approach caused by pilot error. That pilot attempted to hide his mistake from passengers by blaming it on a nonexistent plane on the runway. What he did not know was that he told his fictional story to the control tower (which knew better), not to the passengers. Bad piloting and a finger on the wrong communication button put him at the very end of the line for his re-try. My two pilots included their wives and families in every topic of conversation. Their job puts them in exotic destinations, far from their families, in the company of attractive co-workers, but for these two guys at least, it was just another day at the office with an eagerly anticipated return to home and family. 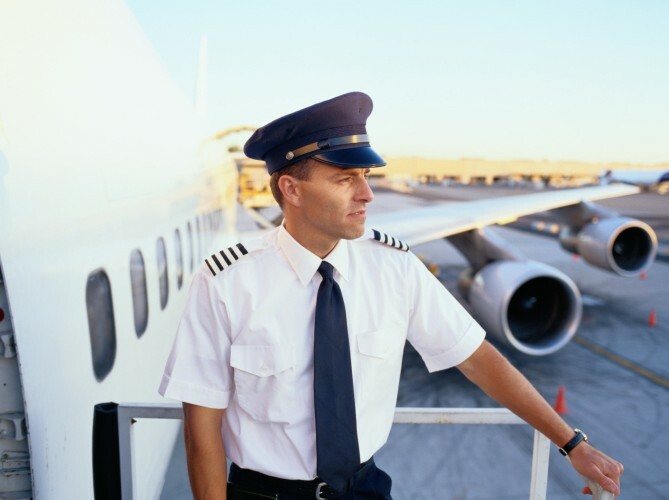 This article was written by Melinda Crow and originally appeared under the headline Airplane Insider: Secrets I Learned Sitting Next to an Airline Pilot on Yahoo! Travel.